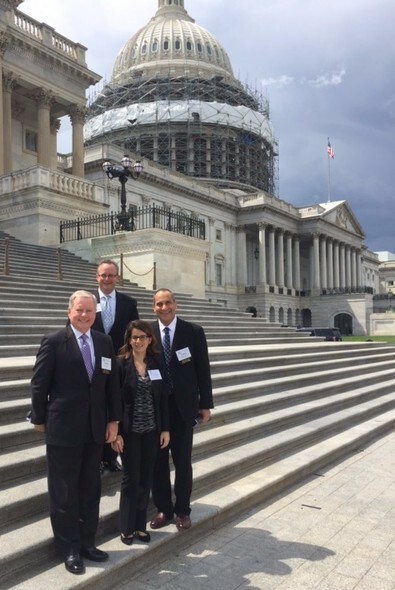 Representatives from thirteen PESA member companies, including PESA Chairman Saeid Rahimian of Gardner Denver and Vice Chairman Burk Ellison of DistributionNOW, met with lawmakers and Congressional staff during the PESA Washington Fly-In at the end of May. The Fly-In provided an opportunity for PESA and attending member companies to develop and strengthen relationships with Congressional offices while telling the story of the oilfield service, supply, and manufacturing sector. 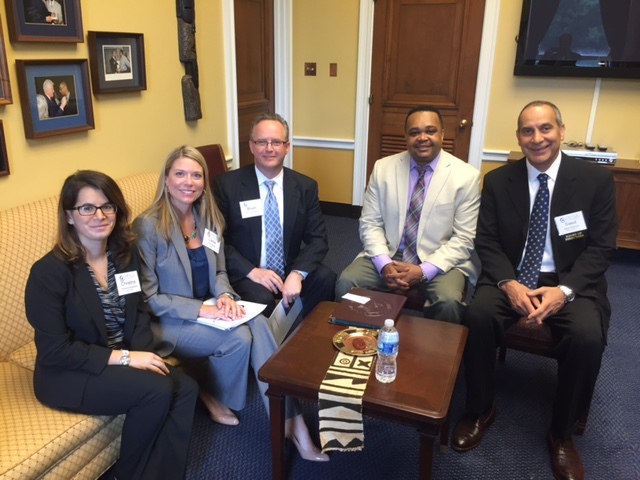 Attendees met with more than 30 Congressional offices, including House Majority Whip Steve Scalise (R-LA), several senators and members of the House of Representatives. Lawmakers representing areas outside the oil patch were a priority. Outreach beyond traditional supporters is critical as the activist-driven “Keep it in the Ground” campaign continues to grow. This movement has gained significant attention in the past several months, launching a full-spectrum assault on oil and gas development. The recently finalized Well Control Rule, the volume of regulations, and efforts to make hydraulic fracturing more difficult were covered. Fly-In participants emphasized the sector’s shared commitment to innovation, safety, and reducing operational footprint. For meetings with lawmakers and staff, Fly-In attendees split into three separate groups, meeting with multiple offices in the House of Representatives on Monday, May 23rd and Senate offices on Tuesday, May 24th. 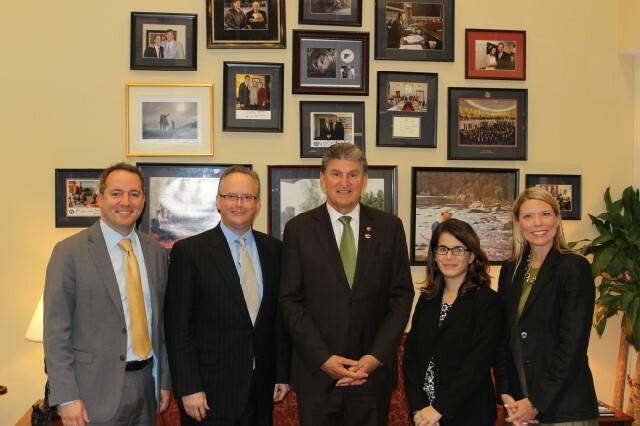 In the afternoon on Monday, all participants met with the top energy policy staffers from the offices of Senate Majority Leader Mitch McConnell (R-KY), House Democratic Whip Steny Hoyer (D-MD), and House Majority Leader Kevin McCarthy (R-CA). Prior to meeting with lawmakers on Monday, attendees heard from a panel of Washington-based representatives from ConocoPhillips, Murphy Oil, and Chesapeake Energy. The status of specific regulations and legislation, as well as the overall policy and political landscape in Washington regarding the oil and gas industry were topics during the discussion, which also included plenty of time for networking. At the end of the day’s meetings on Monday, attendees held a reception and dinner in the Capitol Building, where Chairman of the House Ways and Means Committee, Congressman Kevin Brady (R-TX), provided insight on 2015’s effort to lift the crude oil export ban while also discussing the state of play regarding tax and trade issues. On Tuesday, prior to meetings with Senate offices, attendees heard an update on the latest regulatory and political developments Bloomberg News’ Jennifer Dlouhy, who also touched on how the industry and the sector is viewed by policymakers and the public. Long-time friend of PESA, Sarah Ladislaw, from the Center for Strategic and International Studies tied the whole program together, discussing the international and economic impacts of current – and potential future – energy policies in the United States. Fly-In was capped-off by meeting with a strong friend of the oil and gas industry, House Majority Whip Steve Scalise (R-LA) in his Capitol Office. Scalise has led efforts on issues such as the Well Control Rule and offshore access as well as emphasized the importance of hydraulic fracturing to our energy security and future economic growth. The policy, political, and economic challenges facing the oilfield sector and the oil and gas industry as a whole are real, especially with the rise of the “Keep it in the Ground” movement. Continued engagement by PESA and member companies, helping educate policymakers about the sector, our shared commitment to innovation and safety, and the importance of oil and gas to society will be critical. If you have questions or would like to participate in PESA’s Government Affairs Committee, please contact Ryan Bowley at rbowley@pesa.org. Handouts provided to Congressional Offices during the PESA Fly-In are available for your own use: PESA Handout; PESA Policy Handout.